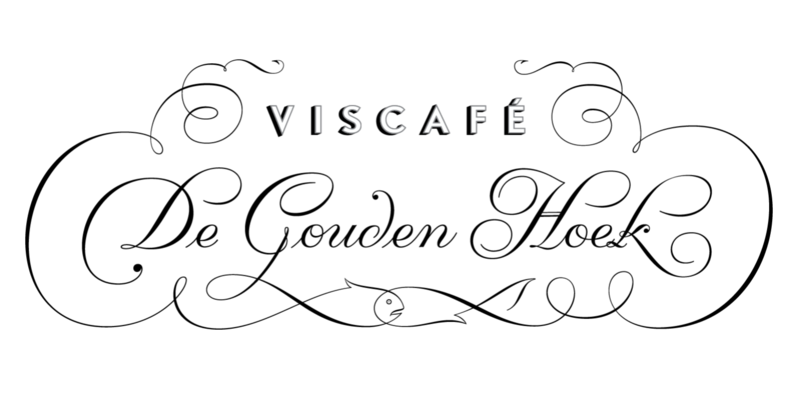 On Amsterdam’s west side is De Gouden Hoek, a chic fish & chips restaurant. Seton Beggs and Jochem Ruijgrok of local design agency Studio Bar were charged with designing a new graphic identity for the space. 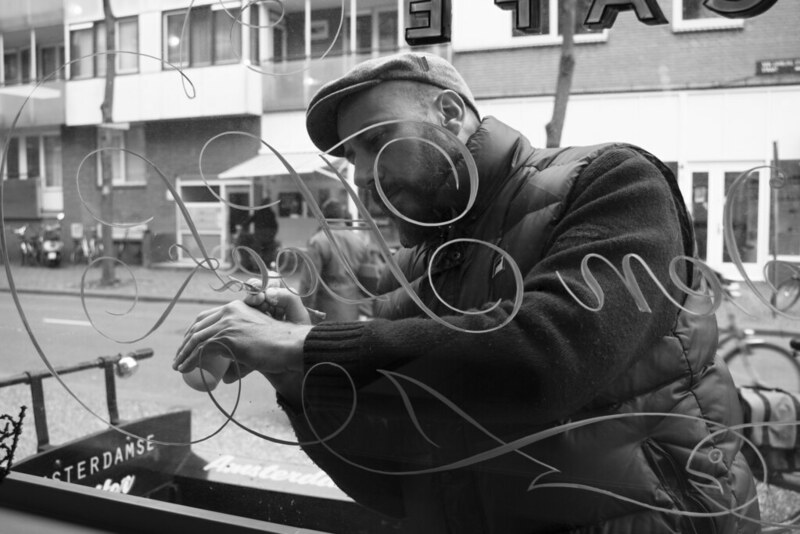 Determined to contribute to the city’s noble sign painting tradition, they designed a window sign in the distinctive local style. Studio Bar consulted with Ramiro Espinoza to ensure authenticity, making the final sign as beautiful and true to the krulletter originals as possible. 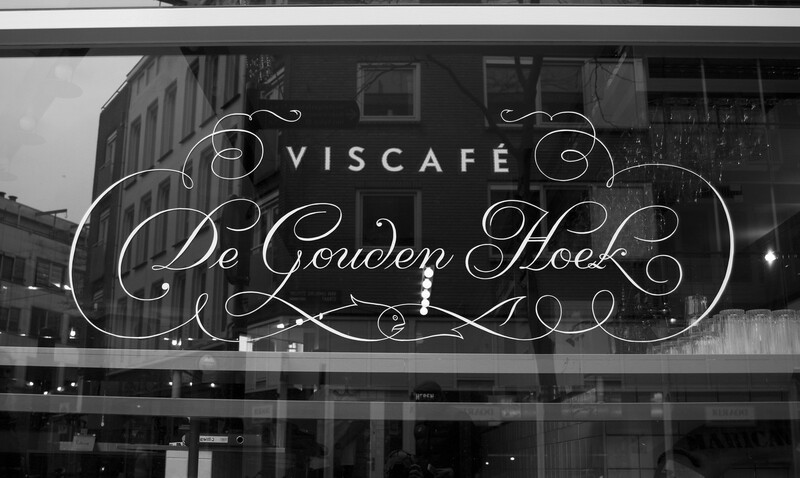 Based on Studio Bar’s sketch, Retype drew a new design and teamed up with Jasper Andries and Martijn Krabman, experienced painters who were able to realize a sign that is now the pride of a very satisfied client. Some days later we even had the opportunity to show the work to krulletter master Leo Beukeboom who, after evaluating the design, gave his approval and congratulated Jasper on the work.